When you think of dinosaurs, you probably think of the majestic giants that once dominated the landscape. Not so fast! Don’t overlook the numerous small ones. Their marvelous designs praise their Creator as much as the designs of their big neighbors. In all the hoopla about the really big dinosaurs, the little ones get forgotten. And that’s just what they would have wanted. Hypsilophodon foxii (“Fox’s high-ridged tooth”) was one of the first dinosaurs discovered. This small, plant-eating animal was first discovered in 1849, a mere seven years after Sir Richard Owen coined the term dinosaur. He was initially mistaken for the thumb-spiked Iguanodon, but the discovery of more skeletons made it clear that this was a different animal. His small size and special talents blow away the popular misperception that most dinosaurs were lumbering giants. Hypsilophodon is one of a large grouping of plant-eating dinosaurs called ornithopods. The best-known members include the 30-foot-long (10 m) Iguanodon and the duck-billed hadrosaurs (up to 50 feet [15 m] long). But Hypsilophodon was much smaller. Only about 7.5 feet (2.3 m) long, he weighed less than an adult sheep (90–150 pounds, or 40–70 kg). Being so low to the ground, he probably did not forage for the same plants as his larger companions. And it is in feeding that we see some of Hypsilophodon’s most interesting designs. Snippers. At the front of his mouth, Hypsilophodon sported a strong, horny beak, as did other ornithopods. But his beak was slender and narrow, more suited to selectively snip and crop vegetation, rather than the “lawn mower” approach favored by the larger iguanodonts and hadrosaurs. Also unlike those others, Hypsilophodon had a variety of teeth. Toward the front in the upper jaw were peg-like teeth that could snip ferns and conifers. Grinders. The teeth toward the back had ridged surfaces shaped like leaves, and the top teeth lined up with the bottom. Now, reptiles like dinosaurs can’t chew side-to-side like mammals; they can only move their jaws up and down. But God gave Hypsilophodon an alternative chewing strategy. As the upper jaw and teeth came in contact with the lower jaw, the bones of the skull and upper jaw were able to flex outward, allowing the outside of the lower teeth to grind against the inside of the upper ones! Also, most reptiles don’t have cheeks, but Hypsilophodon’s teeth were set back in its jaw so that a special “cheek” of skin could hold food in the mouth as it was ground up. Feeding is vital for survival. But if you’re small, you also need to keep an eye out for predators, or else! In this, Hypsilophodon excelled. Sclerotic ring. The orbit (the skull’s opening for the eye) was very large in Hypsilophodon, extending to the very top of his head. Inside the orbit was an unusual collection of small bones, called a sclerotic ring, shaped like a doughnut. 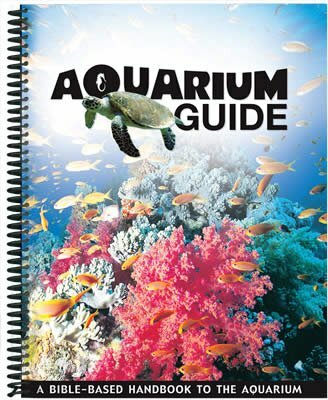 Many different reptiles and birds have them, including the fish-like ichthyosaurs and modern owls. The sclerotic ring appears to strengthen the eyeball (especially if it is not completely circular but rather flattened) and to aid in focusing, particularly in low light. The sclerotic ring may also be a hint that Hypsilophodon was active at night (nocturnal), though paleontologists are not certain about this. One thing is certain: the combination of large orbits and eyes, reinforced by the sclerotic ring, means that he could see very well. Palpebral bone. The sclerotic ring isn’t the eye’s only special design. Hypsilophodon had a small spike (called the palpebral bone) that extended over the front half of the orbit. What is this gladiator-like spike doing over the eyeball? In life it may have acted like a tent pole, helping anchor skin over the top third of the eye, just above the lens. In this way the eyeball wouldn’t get scraped or suffer other damage. It likely gave Hypsilophodon an odd look, like a permanently half-closed eyelid, but this did not limit the eye’s field of view. 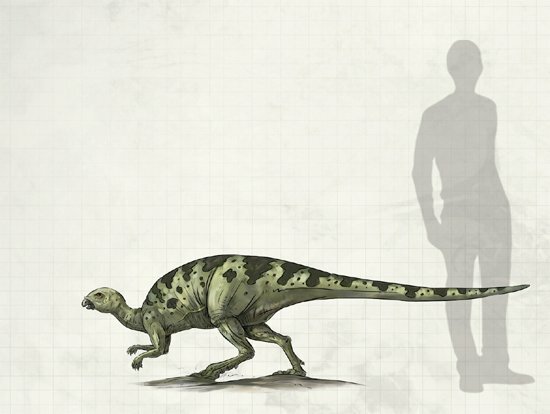 Possessing great eyesight means that Hypsilophodon could detect predators early. You’d want plenty of warning before T. rex’s cousin, Eotyrannus, dropped by. Whether you saw the predator or he saw you first, either way it was time to escape. Hypsilophodon couldn’t stand and fight like some other herbivores. His body is too lightly constructed: no heavy armor, horns, or tail clubs. No, Hypsilophodon was designed for speed and agility; and from his hips, legs, and tail we can see how great a runner he must have been. Speed is all about transmitting lots of power from the muscles to the ground. The Hypsilophodon’s power came from seven large muscles that attached to the leg’s thighbone (femur).1 This gave the thigh a quick, strong pull backward to push the body forward. It appears that the thigh recoiled quickly back again, with the help of strong muscles attached to the front of the thigh. The lower leg bones (the tibia and fibula) were actually longer than the femur, as was the foot. These long leg and foot bones efficiently transferred the power-stroke of the thigh into a long running stride. Many fast-running modern animals, like horses and ostriches, have similar proportions. GEOLOGY AND GEOGRAPHY: Lower Cretaceous, Barremian, and Albian stages Known from the Wessex and Vectis Formations of the Isle of Wight in the UK, and the Camarillas Formation of Spain. A series of bony, rod-shaped tendons were layered over the backbone’s spines, from the middle of the back through the base of the tail. Toward the end of the tail, these tendons were so numerous that they actually enclosed the bones that make up the tail! This made the tail (which is about half the length of the body) like a balancing rod. The hip was solidly connected to the spine to ensure that the energy to move the body wasn’t wasted by loose, wobbly joints. The extra rod-like tendons along the back, combined with its gentle, arched shape, made the spine firm but spring-like, increasing the efficiency of power and speed. With this design, the spine probably stored some extra energy with each step, giving Hypsilophodon a bouncy, bounding-style run, which would make it difficult for predators to anticipate changes in direction. Those changes in direction could come quickly. The front of Hypsilophodon appears to have been far more flexible than the back. Why do we think this? Because the neck and chest vertebrae didn’t have any of those stiff, bony tendons. Quick movements of the head, arms, and chest would help Hypsilophodon shift direction quickly, and the stiff tail would act like a tight-rope walker’s balancing rod, helping to swing the hips and tail back behind the torso for another quick burst of speed. The mass burial of Hypsilophodon also points to their catastrophic death and burial. Another survival ability was likely behavioral. Since the initial discovery, bones from many different individuals have been discovered in one deposit on the UK’s Isle of Wight. Because of the abundance of fossils, this rock unit is called “the Hypsilophodon beds.” Since so many fossils are buried together with few other animals, paleontologists suspect that it was a communal or herding species. This seems likely since many other ornithopods, including Iguanodon and several duck-billed hadrosaurs, have been discovered in mass graves, as though they were travelling together when the Flood waters swept them away. If they did live in herds or family groups, then some Hypsilophodons could watch for predators while others fed, as modern herding animals do today. But the mass burial of Hypsilophodon also points to their catastrophic death and burial. So on the one hand, Hypsilophodon fossils remind us about the wisdom of the Creator, who made so many fascinating creatures, all clearly designed for their respective roles in His vast world, whether big or small. At the same time, these same creatures offer us more evidence of the great Flood that the almighty Judge sent to destroy the world. 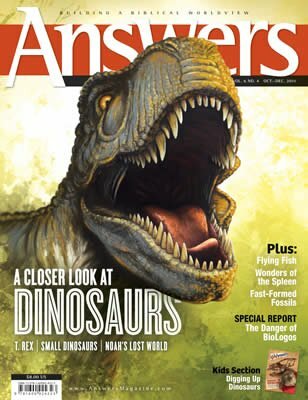 With so much attention on big dinosaurs, some people are surprised to learn that many dinosaurs weren’t very big at all. The Hypsilophodont family is just one example. Even within larger families, such as long-neck sauropods, some species were quite small. * Such variety shouldn’t surprise us, since we find similar variety today, such as chihuahuas and great danes. *There is always some debate about which fossils are different species. For example, some believe that Raptorex is a juvenile of another genus. Minmi: Smallest ankylosaur. While his cousins reached 30 feet (9 m) in length and 6.5 tons, Minmi was only about 10 feet (3 m) long and weighed a few hundred pounds. Europasaurus: Smallest sauropod. While some of his cousins may have stretched more than 110 feet (34 m) and weighed over 100 tons, Europasaurus was only about 10 feet (3 m) long and often only a few hundred pounds. Homalocephale: Smallest pachycephalosaur. While other species of this thick-skulled dinosaur reached 15 feet (4.5 m) in length and weighed nearly half a ton (450 kg), this one was no more than 6 feet long (2.5 feet at the shoulder), and weighed less than 100 pounds (45 kg). Raptorex: Smallest tyrannosaur. While T. rex reached 42 feet (12 m) and weighed 4–6 tons, Raptorex was only 10 feet (3 m) long and 150 pounds max. Marcus Ross is the assistant professor of geology and assistant director for the Center for Creation Studies at Liberty University. He holds a masters in paleontology and a PhD in geosciences from the University of Rhode Island. Paleontologists can determine the position and general size of muscles from knobs (called processes) and highly roughened areas of bone that served as anchor points for muscle attachment, as they do in modern animals.